John Fredriksen’s new rig investment company Northern Drilling has exercised its option at Hyundai Heavy Industries (HHI) for semi-submersible rig Bollsta Dolphin . 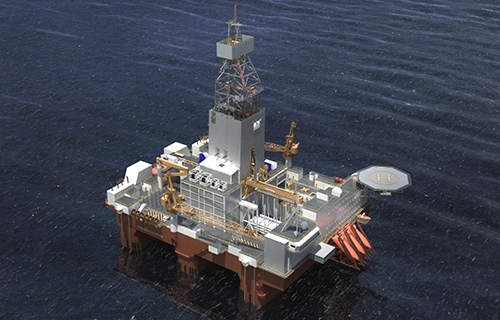 The contract price is $400m, with Fredriksen’s Seatankers originally securing the option from HHI at the same time it settled a dispute between Seadrill and the yard over the West Mira semi-submersible. Bollsta Dolphin was originally ordered by Fred. Olsen Energy in 2012 but was cancelled in 2015 with delays cited as the reason for cancellation. The rig is now set to be delivered in January 2019. Northern Drilling said it will continue to pursue its strategy of opportunistically acquiring distressed drilling assets.